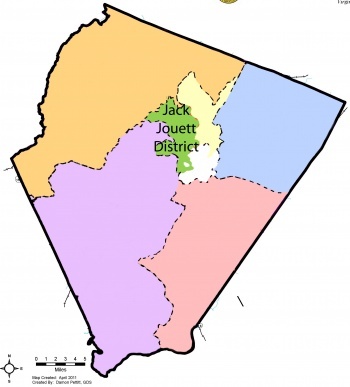 The Jack Jouett Magisterial District is one of Albemarle County's magisterial districts. Diantha McKeel is the supervisor for the district. Mac Lafferty is the planning commissioner. Kate Acuff is the School Board representative.